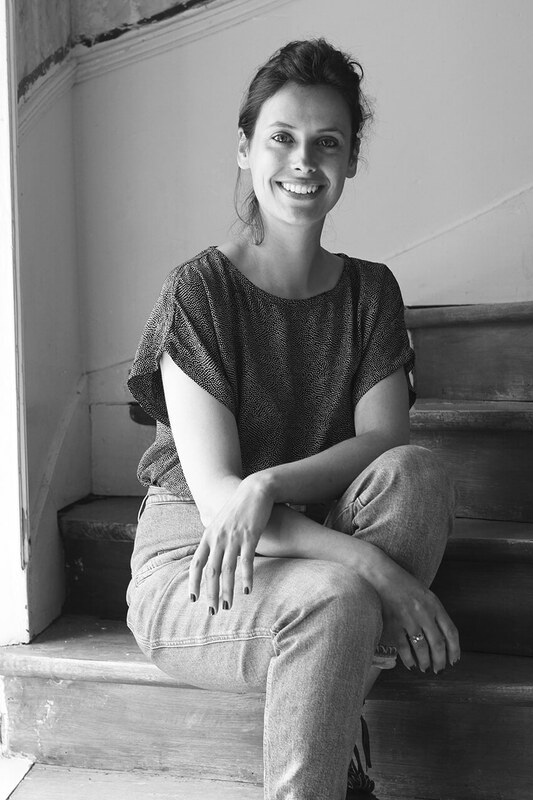 After studying fashion womenswear at London’s Central Saint Martin School, Mathilde Le Gagneur worked for the luxury company Louis Vuitton in Paris for several years, as a leather goods designer. For years ago, Mathilde decided to put an end to her turbulent Parisian life and moved to the countryside of Normandy, in order to live closer to nature and to follow the pace of seasons. She wanted her professional life to fit her ethical values and to be less restrictive. This resulted in her starting the sustainable fashion brand ATELIER LE GAGNEUR. ATELIER – French for ‘workshop’ – refers to the carefully crafted quality of the creations, which are all made in France. LE GAGNEUR is a common name with a positive ring – ‘gagner’ is a French verb which means ‘to win’. LE GAGNEUR is also Mathilde’s last name, and by choosing to use her family name she proudly claims her Norman identity, anchored in a love for soil. With ATELIER LE GAGNEUR, Mathilde creates items that meet both her needs and her desires. 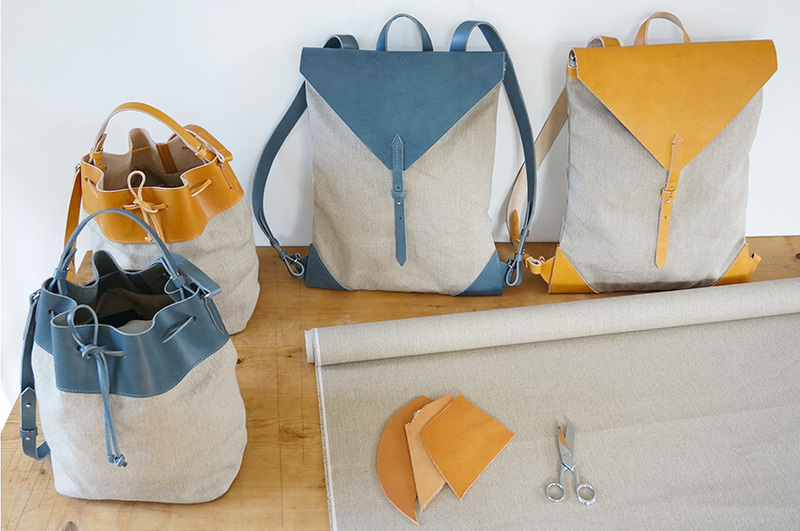 She designs bags that will join women in their daily lives, bags that are both functional and elegant, and raw yet sophisticated. 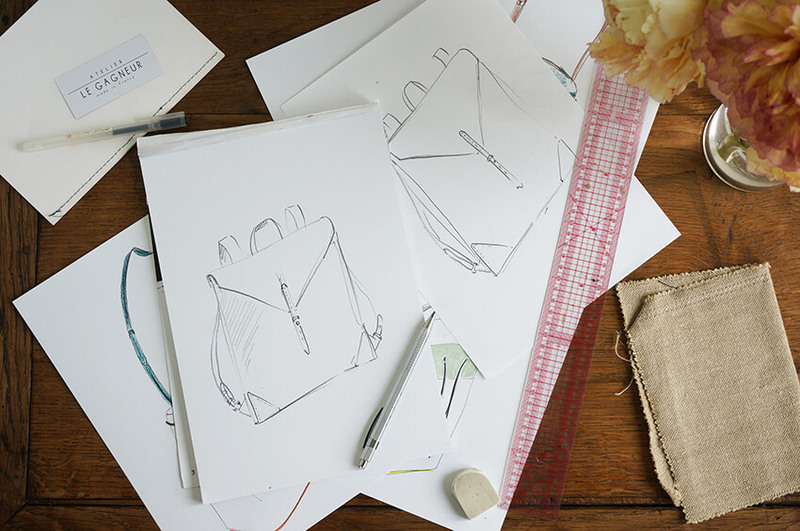 Bags crafted for women, designed in Normandy and made in France. The use of high-quality materials with guaranteed traceability, selected with a special care for the environment. Items available only through our web site to favour direct selling. This way of selling allows for lower commercial margins that would increase if we used distributors and intermediaries. The margins we make are about 2.5 times the cost of the product. A brand committed to sustainability and the protection of the environment. Our bags are made out of linen fabric, treated to be water-repellent, and certified with the “Oeko Tex” label. Weaved in Belgium and certified “Masters of Linen”, this fabric is entirely produced in Europe. 80% of the world production of linen comes from France ; linen crops are grown from Normandy to the northern end of France. The localised aspect of the linen production is one of thre reasons why we chose to use this fabric. The leather we use is certified as a product of France. It is a 100% bovine full-grain vegetable-tanned leather, commonly referred to as vegetable-tanned leather. Vegetable-tanned means that the leather is treated only with natural raw materials which are environmentally friendly. This leather has irregularities, which is what makes it so special and not uniform: it is a rich natural material. Over time, the leather will age and acquire a beautiful patina. All orders are delivered with a printed tote-bag, made in Normandy from vintage cotton and linen fabric, upcycled to give them a new purpose. The boxes used for shipping are also made in France by a small company. Boxes, packaging paper, poscards, labels, etc., are made out of 100% recycled materials.